Petra treads on dangerous ground in her attempt to solve the Mosaic puzzle. Finale. Joel weighs his options as evidence against him mounts; Eric is dogged by new allegations. Joel's New Year's Eve whereabouts come under increased scrutiny. 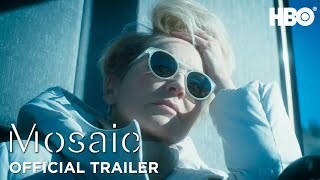 Currently you are able to watch "Mosaic" streaming on HBO Now, HBO Go or buy it as download on Apple iTunes, Vudu, Amazon Video, FandangoNOW, Microsoft Store.